NA’ALEHU, Hawaii – It’s such a wonderful coincidence and feeling when you shared something about someone on social media that you never met, then accidentally meet the person. That’s what happened when I met Robert Beck and on a another separate occasion his sister Wanda Pasco-Gionson. 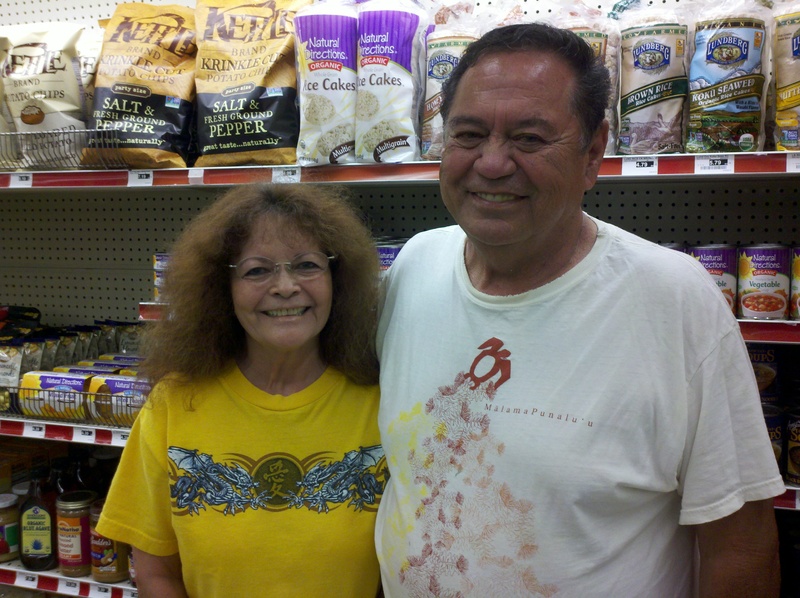 Robert was so happy and proud to introduce me to his sister while shopping at Island Market in Na’alehu. I could see the joy and excitement in his heart. Now, if Wanda is coming to Na’alehu to visit her brother Robert he tells me, “She coming, she’s coming”; she lives in Honolulu. Below is the article shared on this blog on August 1, 2010; they have a wonderful story to share. In the end it’s not the bling and money that makes you sing, its starts at home with your family. Thank you Robert and Wanda; we love you! HILO, Hawaii – We often joke that Hawaii is so small, chances are there’s someone you’re related to and don’t even know it. It turned out to be true for a Big Island man named Robert Beck. The story of the 65 year old isn’t that unusual. He grew up in Ka’u, played football for his high school, enlisted in the military, got married and raised a family, but his whole life, he lived with a mystery he could never solve.